In Bangladesh Now Running Hot And Latest Gossip About Salman Shah. Salman Shah Was an Famous And , Very Popular Actor In Bangladesh. 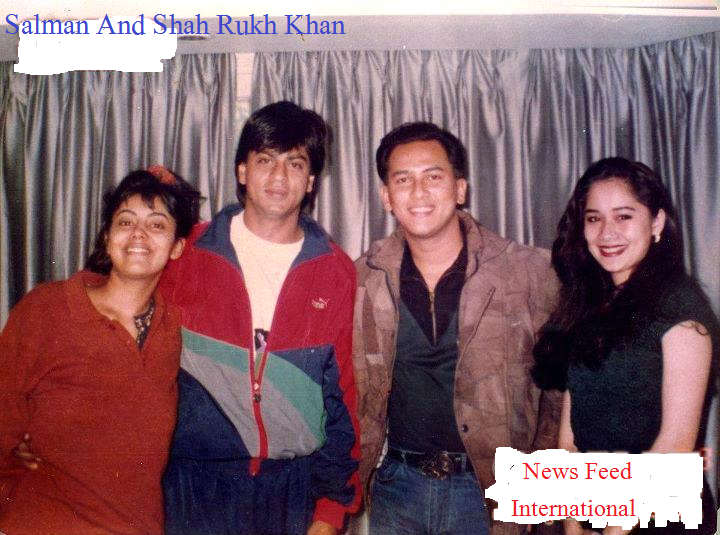 Salman Shah Was Past In Sixth September and 1996. His Died News Is very flooded a number of his fan also died to hear this news. His Mother Accused To His Wife that she is murdered Salman Shah. Twenty One Year Passed Now A Facebook User Viral A Video and say that Salman Shah was murdered By His Wife And his Father in Law. 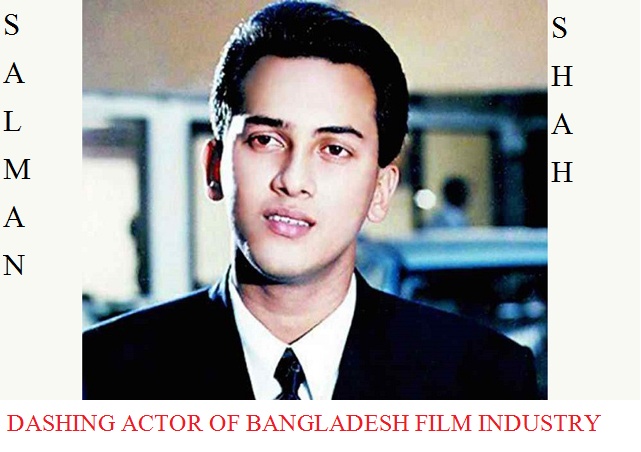 Salman Shah Is well Known In Bangladesh Film Industry. At His Era He Ruled Bangladesh Film Industry Reputedly. He Born In Jokigonj Upozilla, Sylhet, Bangladesh On September 19 Year Of 1971. His Family Name Is Shahriar Chowdhury Emon. His Father Name Is Komor Uddin Chowdhury And his Mother Name Is Nila Chowdhury. His Wife Name Is Samira Huq. 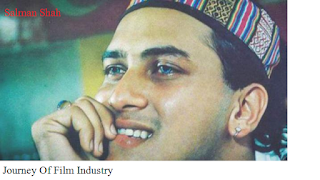 Salman Shah Was His Family's Elder Son. He Study In His Primary School at Khulna Boyra Model High School. In 1987 He Passed His Matriculation at Dhanmondi Arab Mission School, Dhaka. Then He entered Adamzi Cantonment College For HSC and he Complete His graduation (B.Com) From Maleka Science College , Dhaka. Salman Shah Started His Film Career By Acting A Tv Serial ' Akash Chowa' Deyal, Sob Pakhi Ghore Fere At The Year Of 1985. His Acted Tv Novel Noyon Is Awarded By 'Bachsas'. In The Year Of 1993 He Started His first Debute Film ' Keyamat Theke Keyamat' which Directed By Shohanur Rahman Shohan. His Heroine Is Mousumi As well She Is also Well Known In This Industry. Keyamat Theke Keyamat Is Super Duper Hit Film On That Time. Then He Acted Onotore Ontore, Sneho And Denmohor. All Of This Film Heroine Is Mousumi. His Acting Makes Him Great Actor On this Time . All Of Bangladeshi People Loved To See His Film Cause OF His Acting. His Time Is Golden Time of Film Industry. HIs Another Film Name Which Bangladeshi People Is Memorize. Such As 'Tumi Amar' 'Sujon Sakhi' 'Bikkhov' 'Sopner Thikana' 'Bichar Hobe' ;Chaoa Theke Paoa' 'Sopner Nayok And Many More Film He was Acting. 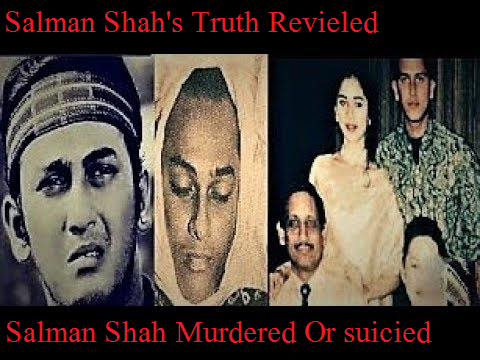 Salman Shah Murder Or Suicide ? 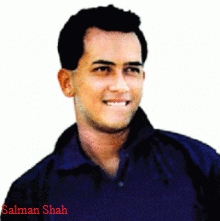 In The Year OF 1996 ,September 6 Salman Shah Passed Away From This World. His Corpse Found In His Apartment By Hanging A Fan Hook at Captial City Of Dhaka, ISkaton. In His Post Mortem Report Shows That He Was Suicide But His Mother File A Murder Case. Many Of salman Shah Family member Think That its a pre planned murder and Samira Huq Involve With This. Salman Shah Family Member File A murder Case With 10 Accused. There Is no Full Proof That It Is Murder Or Suicide? Now A Accused Of No 8 Viral A video. Her Name Is Ruby Sultana . She Live In Philadelphia. She Says Her Viral Video That Salman Shah Was Murdered Not Suicide. You May Also See Her Viral Video. We Want Justice. whoever Accused We Need A True Culprit To Be Hang. all Of Bangladeshi Salman Shah Fan Wants Justice.